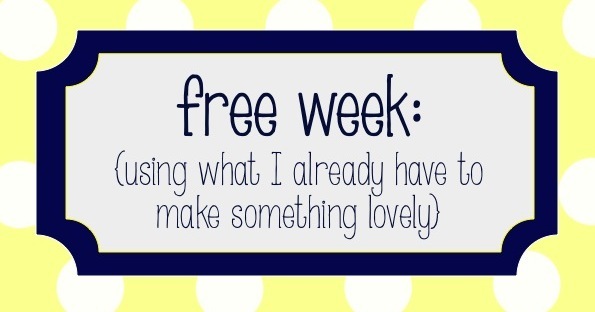 Welcome to Free Week! Where I use things I already have to make something lovely. I'll explain as I go how I could have run to the store (or jumped on Amazon) to make these projects easier- but I didn't. I stayed right here at home! As a slight disclaimer- when I say "free" I mean that at some point I have already purchased these materials. NOTHING is truly free... but I'm going shopping in my house and using what I already have. No point in adding to the mess. I might as well use things up!